Someone dug up old Android-running Nokia prototypes and ran them through Geekbench. They are too outdated to see the light of day now, but it's nice to take a peek at what could have been. First up is the Nokia 5320 (no, not this one). It runs Android 4.4 on a Snapdragon 800 chipset with 2GB of RAM. Unfortunately, these devices didn't go through GFX Bench, which would have given us specs like screen, camera, wireless and so on. Then there's the very odd Nokia RM-1490. It's powered by an AMD A8-5545 APU - a quad-core chip with 19W TDP! It ran an even older Android 4.2 (have you seen a commercial device that runs Android on AMD?) and had 2GB of RAM again. At a guess, this was a laptop (Nokia made laptops too, well a "netbook"). Or it could be a tablet as the benchmark didn't detect the full 4-core setup and the clock speed is low. Still, even with disabling half the cores and downclocking, fitting this APU in a tablet would have been a stretch. 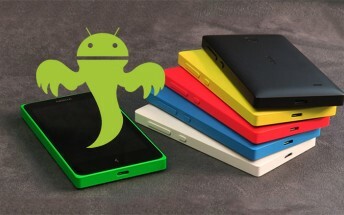 So these aren't the upcoming Android-powered devices under the Nokia banner that are being developed right now. Still, it's a shame that the partnership with Microsoft killed these products in the development stage. Thanks for the trip down memory lane, stipe1906!